Intro to Agility is taught in a private lesson format. This is to insure optimal learning for both the handler and dog. Lessons are a half hour in length. The number of lessons needed before being allowed to participate in the open practices varies with each individual dog/handler team, although 6 lessons seems to be the average number of lessons needed. Dogs must have basic obedience skills, or have passed an initial evaluation, and be manageable on leash or in a public setting to enroll. 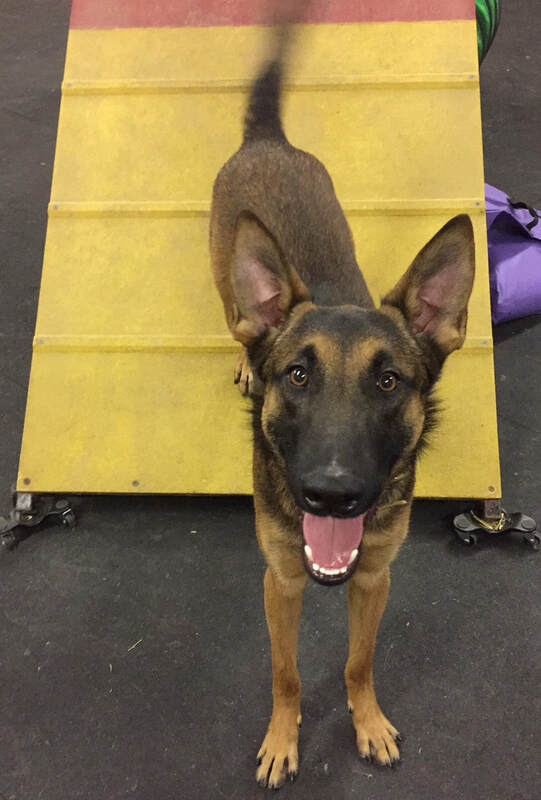 This class is practiced both on and off leash and instruction focuses on correct and safe obstacle performance, as well as groundwork exercises that can be performed at home. This class must be completed, and instructor approval must be given, prior to participating in any Agility Drop-In Classes.